As the parent of a toddler, you probably are already thinking about finding the right preschool. Take time to do thorough research on Fairfax preschools near you. If you live in a metropolitan area like northern Virginia, the competition for the best schools may be stiff. You should start checking into your options about a year before you plan to enroll your child. Here at Fairfax Christ Lutheran preschool, our dedicated teachers and staff are available to assist you in your search. Once you have identified several schools that fit your basic practical needs, such as proximity to home or work, class size, and cost, you need to find out whether the school offers the kind of preschool environment that will prepare your child for elementary school and beyond. Here are seven important questions to ask to find out about the curriculum and get a sense of the staff’s level of commitment to the school’s program. The answers to these questions should help you select from a pool of Fairfax preschools and choose the best one for your child. The answer to this important question will give you a good idea whether your child will thrive in the school’s educational style. Some preschool philosophies such as Fairfax Christ Lutheran preschool are on social development, and learning is more play-based. Other Fairfax preschools may introduce academics such as reading and math. Some preschools follow specific educational models such as the play-based Montessori Method where the teacher guides the children through intellectually stimulating puzzles and games. 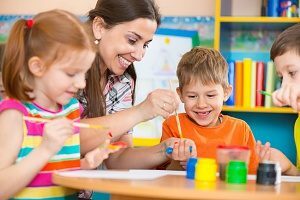 Other approaches include the play/activity-based Waldorf approach which does not introduce academics, or the Reggio Emilia system designed to teach cooperative problem-solving skills. Some may be a mixture of these. Note that preschools that are affiliated with a church are likely to impart Christian values. What is the teacher turnover rate? Use this question to determine if the teachers are happy with the school and its environment. Use it to initiate a discussion about the level of education of the teachers and what kind of training they have had. The teachers should have at least a Child Development Associate credential. Find out what experience they have had. Find out if they are certified in CPR and first aid. What is the policy on aftercare? You need to know whether the school offers any extended day programs or before or after care hours. Some Fairfax preschools offer programs and activities after the school day has ended. These services usually add to the cost, but consider whether it makes sense for your schedule and your child’s development. Engage in a detailed discussion about the school’s disciplinary policies. Find out how the teachers communicate to the children what the rules of behavior are and how the teachers encourage a positive environment. How is appropriate interaction encouraged? Do they use a rewards/recognition program for good behavior? How do they handle conflict resolution? The school likely has policies on how to deal with fighting, biting, hitting, and so forth. Often, the teacher will redirect a misbehaving child’s attention, followed by a time out if redirection does not work. If the teacher uses timeouts, find out if the child will sit alone or with a teacher or adult volunteer. You also need to learn how the school handles communications with the parents as specific behavioral or developmental issues arise. How much play time do the children have each day? Children need a lot of play time. They need time to burn off energy, exercise their imaginations, and develop fine motor skills. Make sure your child will have plenty of free play time and time for structured activities designed to develop those skills. Those activities may include coloring, cutting and pasting, and so forth. Find out what activities different Fairfax preschools offer and the amount of time each day that is devoted to them. What is the nap-time policy? Naps are important to young children’s development. Nap time should occur at the same time each day. How long is nap time at this preschool? Find out what nap supplies you need to provide for your child and how they need to be cleaned. What is the policy on communications with parents? 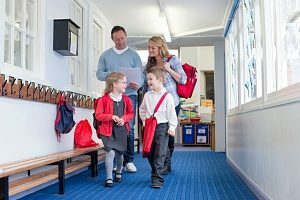 You need to be confident that the school will keep you informed regularly about changes to curriculum, policies, or activities that affect your child. You may be expected to attend meetings with the teacher periodically to discuss your child’s progress. If you are a parent who wishes to become involved with the school’s activities or volunteer, find out how to do it. At Fairfax Christ Lutheran Preschool, the teachers and staff know that selecting the right preschool is an important first step in the development of your child. They hope you will contact them to schedule a tour of their beautiful school grounds and meet their loving and caring teachers and staff members. They can provide you with contact information of many satisfied parents of their students.